Genre/Influences: Electro-ambient, cinematographic, IDM, experimental. Background/Info: Sascha Lemon better known under the LPF12 moniker remains a very prolific artist. He releases several productions a year and has now started a new series entitled “Foreign Pulses”. 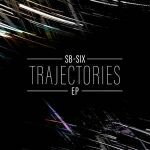 It has been introduced as an EP, but it rather appears to be an album or at least a mini-album featuring 7 tracks. 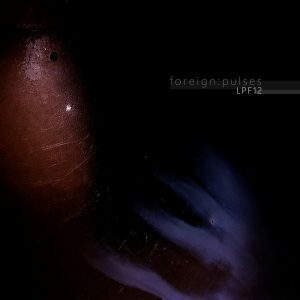 Content: LPF12 clearly explores new music directions, taking some distance with the IDM-style he was dealing with during the past years. This work is more into reverie and cinematographic music. 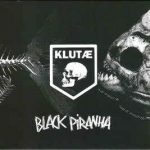 You will recognize some IDM elements in the refined bleeps and numerous sound effects, but this work clearly sounds different and maybe the take off towards a new sonic path. + + + : LPF12 is experimenting with new ideas and that’s rather encouraging for a prolific artist. It’s maybe the will to not repeat himself or simply the exposure of this musician’s endless creative brain. This work has less in common with previous work and yet you can recognize some arrangements and the global sound intelligence. This is not the usual ambient thing, but a more delicate exposure carried by some slow, broken rhythms and overwhelming space sounds. – – – : Despite of the sound innovation, this work rather sounds like a try-out. I can’t say it’s the best work I’ve heard from LPF12 during the past few years. I think Sascha Lemon will now have to elaborate the soundtrack influences this work has been made of. Conclusion: LPF12 took us into sonic reverie, mixing typical soundtrack music together with IDM reminiscences. Let’s now see how he’ll evolve into this direction.